I hope you all have had a relaxing holiday season, and were able to find some quiet moments in all the hustle and bustle. I've been enjoying the past few days relaxing, but am already itching to create new things and already have a few trips planned for the new year. 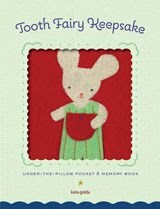 First up is a book signing this Sunday, January 3, 2010, at Powell's Books in Portland, Oregon. 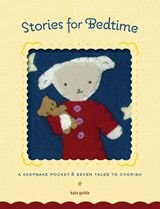 Come down to Powell's on Burnside at 2 p.m. to say hi, get your book signed, and get advice on your felt projects. I'd love to see what you're working on! January 3, 2010 | 2 p.m.
Mark your calendars for free craft exploration! 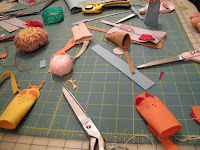 Join crafty librarian Jessica Pigza and Crafternoon author Maura Madden for a free series of DIY days at the Stephen A. Schwarzman Building. Handmade Crafternoon includes a hands-on project with author Kata Golda and an inspiring spread of vintage books and magazines from the Library’s collections. More details coming soon. 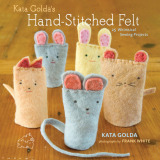 Kata Golda will explain her unique hand-stitching techniques and will walk students through making felt project from her new book Kata Golda's Hand-stitched Felt. 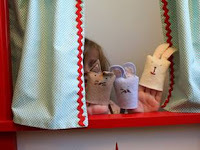 Kata Golda highlights felt craft projects from her book that are suitable for kids. More details coming soon. See what a mom & her 6-year-old made together. 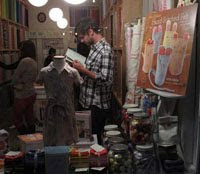 Kata Golda visits Brooklyn General Store, where country fiber warms the big city. Details coming soon. I hope to see you at one, if not more, of these events. If you've made projects from Kata Golda's Hand-stitched Felt, be sure to bring them — I love to see the personal touches people add.